When US president Theodore Roosevelt was shot in the chest in 1912, he was saved by the luck of having a folded fifty-page speech in his breast pocket. Two years later, World War I was sparked after Franz Ferdinand’s motorcade took a wrong turn onto a narrow street, putting his car into the path of an assassin. John Howard and Gough Whitlam narrowly missed out being elected to state seats – a ‘misfortune’ that left them able to run for safer federal seats. 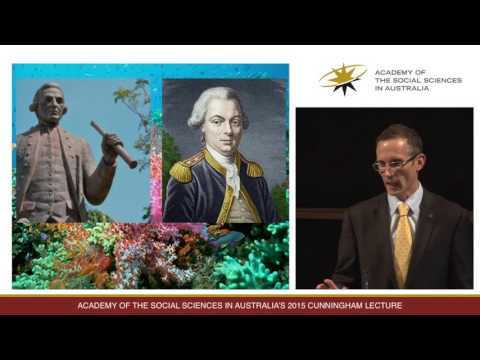 In this talk, Andrew Leigh will argue that recognising the importance of luck can profoundly alter the way in which all of us think about politics, and about life. Just as a good health system guards against the bad luck of sickness, and a good unemployment system protects against the bad luck of job loss, so too we need a politics that recognises the role of chance. Luck should make us less inclined to revere the successful and revile the unsuccessful. Putting luck into politics may even let the unlucky have a second chance. Andrew Leigh MP, is the Shadow Assistant Treasurer and Federal Member for Fraser in the ACT. Prior to being elected in 2010, Andrew was a professor of economics at the Australian National University. Andrew holds a PhD in public policy from Harvard, having graduated from the University of Sydney with first class honours in Law and Arts. He has previously worked as a lawyer and as a principal adviser to the Australian Treasury. He was elected Fellow of the Academy of Social Sciences in Australia, 2011, the only current parliamentarian to be a fellow of one of the four national Learned Academies. In 2011 he received the ‘Young Economist Award’, a prize given every two years by the Economics Society of Australia to the best Australian economist under 40. His books include Disconnected (2010), Battlers and Billionaires (2013), The Economics of Just About Everything (2014) and The Luck of Politics (2015). Andrew is the father of three sons – Sebastian, Theodore and Zachary, and lives with his wife Gweneth in the Canberra suburb of Hackett. He has been a member of the Australian Labor Party since 1991.